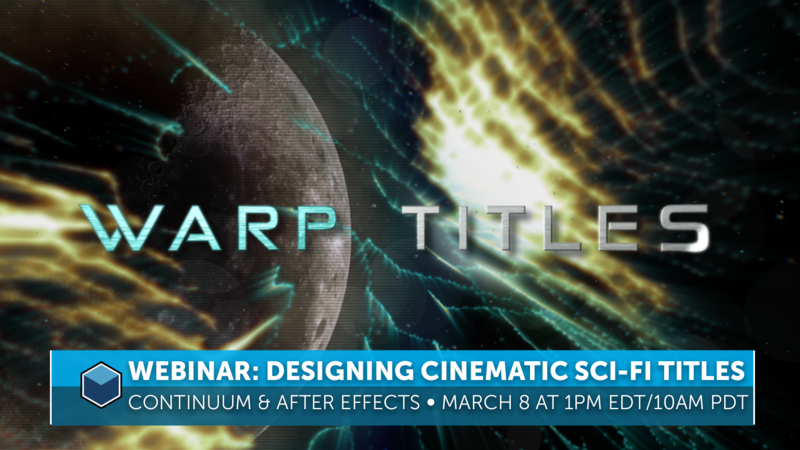 Join Vin Morreale, Boris FX product specialist, as he shows how to create an advanced science fiction themed motion title sequence from scratch using Continuum inside Adobe After Effects. A step-by-step breakdown that will have you creating your own blockbuster style titles. About the presenter: Vin Morreale is a producer, editor, and VFX artist currently working as a Product Specialist at Boris FX. He has been working with Adobe Premiere and After Effects since early 2001 when he founded Paracelsus Films, a photography and videography production company specializing in web content.